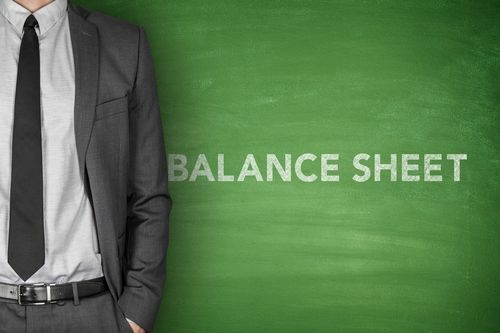 A balance sheet provides an inside view of a company’s financial status in a given time. It shows you the company’s assets, liabilities, and its capital. The assets should be equal to the company’s equity from shareholders plus the liabilities. A balance sheet is primarily used to determine the financial strength of the business. It shows you how solid, financially, your business is. More often, you will find yourself relying on the balance sheet, one of the products of the accounting services you use, in decision-making and in preparation of other financial statements such as cash flow statement. These are the properties owned by your business. There are two broad categories of assets: long-term assets and current assets. The cash you have in your business is termed as the current asset due to its high liquidity. Machinery and other properties such as real estates are accounted for as long-term assets because they take a rather longer period to liquidate. Other examples of current assets are cash notes and account receivables (Also see Accounting: Managing Accounts Receivable Could Save Your Business). These assets are typically converted to cash in one calendar year. Fixed assets (Also see Accounting – FRS16: Property, Plant, and Equipment) can depreciate over time. For example buildings and machinery tend to reduce in value with time. Also, some assets such as land and add value with time. The common types of fixed assets in business are the office equipment, vehicles, and machinery. Note that none of these are readily convertible to cash within one calendar year of business. When you add all the fixed and current assets your company owns, you get the total assets of the business. This is what you record and report on your balance sheet. Note that the amount you get here does not represent the current and fair market value, but rather the purchase price of the assets. Liabilities are the obligations your business has to the outside world. Owners’ equity is the value you get when you subtract the debt amounts from the total assets. These debts and liabilities are either expected to be paid within one year (short-term liabilities) or after one year (long-term liabilities). Examples are the debts from suppliers and creditor’s accounts and notes payable. Also accrued wages, income account payable, and shareholders deposits fall under this category. Balance sheet is an important financial statement prepared, usually by accountants, as it shows the business financial position at a given time. Therefore, you must ensure that it is prepared correctly, and the only way to achieve that is by first understanding the basics.